(English: International Netherlands Group Bank). ING brings you the first all-digital savings bank in the Philippines! ✔ Fully digital. No lines. No forms. ✔ 24/7. No banking hours. ✔ NO FEES! Transfer to any bank via PesoNET. 40+ countries and 38 million customers. 28 years in the Philippines. 🇵🇭 2017 Best Bank in the World by Global Finance Magazine. OK guys, I just wanted to hear any opinions, remarks, etc. on ING as a whole. I just signed up for INGDirect (Savings Account) at 4.20% Yield and I need help on calculations. -Is the account paying simple interest or is it compounded? -I'm investing US$95,000 - can someone help me in calculating how much it would be making every month? "I'm investing US$95,000 - can someone help me in calculating how much it would be making every month?" BeerHandBop, check out HSBC Premier also. I bought different structured notes that make from 10 to 13.8% a year, locked in for 1.5 to three years, principal protected. So far, I have invested about $200K, and am waiting for their next offer(which comes about once a month). If you're interested in higher yields I suggest you put your money in mutual funds. Better rates of return. ^ mutual funds is much like stock market. we want our cash like we want our water- LIQUID. anyway.. reason why ing direct gives you better rates is because wala silang brick and mortar branches. it's all online. so there are pluses and minuses. sa branches, if you are a big depositor you are treated fairly well. pag online, you're just another customer being handled by an offshore csr. there are pluses and minuses as i have said. also they sponsor renault f1. lol. I am planning to invest in a Mutual Fund (since I have no time to watch the stock market). If you were to ask, which one do you prefer and why? Thanks. I don't think ING manages funds in the PHL anymore. They sold their business to BPI earlier this year. I am no expert also, but what or how extensive is your knowledge about mutual funds, cause it matters what we are getting into. right? no disrespect intended, cause I might also learn from you about this. Shocks!! didn't hear about that. It's just that earlier this year, a broker (I don't know if they are also called like that. I'm referring to people who manages account for mutual fund investors.) from ING gave a talk about mutual funds. I don't know how to rate my knowledge in mutual funds. But I know the risks and benefits of being a mutual fund investor as well as being a stock market investor and their differences. I am also familiar with some technical analysis. And based on charts I've seen, it is less risky to invest in a mutual fund than in stock market. But you will be earning more if you know where and when you will invest in stock market. So have you found which mutual fund to take? Care to share. ATR KimEng Equity ako.. for more than 5 years now.. di nga lang active..like once or twice a year lang pero ngayon since medyo bagsak ang stock.. at long term naman ang plan ko.. ill try to build up my portfolio.. hehhee.. I have an investment with ATR KimEng since 2007. I liked them before, but I'm not sure with them now. Yung dati ko kasing contact/agent with them nalipat na ng department, parang napag-iwanan tuloy ako as an investor. I think these recent years, First Metro showed great relative performance. Try mo Sunlife of Canada- Philippines, aside from insurance may mutual funds din sila initial nila 5k lang. I sent you a pm. and also has one of the biggest returns among its peers. so you'll know his there to stay. You can still buy ING UITFs but its now called BPI Odyssey. Not yet. Baka mga November pa ako magstart e.
Thanks for the link. At least I can also see myself which one is better. ATR-Kimg Eng Funds has under performed its peers as well as the market BIG time! ING (Now BPI Odyssey funds) well it depends on what fund are you going to invest. IF it's the Philippine High Conviction fund (which is basically full of 2nd to 3rd liners stocks) they have outperformed the index by a great margin. 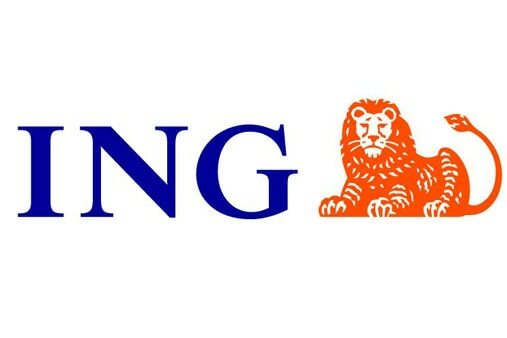 I can attest, they're the same guys who manage it when it was still known as ING. PhilEquity is a family owned mutual fund but they have out performed there benchmark in the long term. In addition, they have the longest track record of all mutual funds in the Philippines. FAMI well these guys are also good, I can also attest to that. As I personally know some of the guys who manage there funds. I'm personally looking into investing in PhilEquity, Philam or the BPI High Conviction fund. I will probably look into Philam. Does anyone of you know any contact person in PhilEquity? And is it also possible to start my investment with only P5,000? Thank you.